You have a lot of ground work to do. You don’t have the deep pockets to shortcut some areas in business, and you are relying solely on your own effort to get the ball rolling. 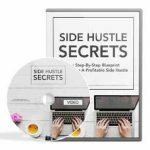 Secrets To Supercharge Your Productivity For Maximum Profits! Ultimate Productivity Mastership is a video series – broken into 4 different sessions – on how you can maximize your limited resources in time, effort and money and trade them for higher gains in business! Consider this the discipline building program for success. Working alone and starting your own business from scratch with little certainty of the future is very daunting. I expect you to be like most people who are just starting out – scarce resource in both time and money. “The Power of One” reveals breakthrough methods to empower yourself to focus your efforts for effects – trade effort for amplified results. 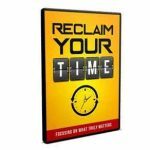 Eliminating ‘time vampires’ – how to get rid of counter-productive tasks and activities that do not empower you to build a profitable business and yourself as an entrepreneur! How to get more hours in a day – find out how you can speed up irreplacable tasks like reading, writing and any effort that leads to building the bricks for your online business. Discover the 80-20 rule and what they are when it comes to your personal life, social life and business life! why the idea of “working hard for almost a year and going vacation for 2 weeks” is an obsolete idea – and embrace the mindset of the “new rich” aka mini-retirement plans! 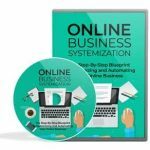 If the information in this guide can help you minimize your learning curve, maximize your productivity, trade your effort for 10 times the results in business bottom-line… how much are all these worth to you?